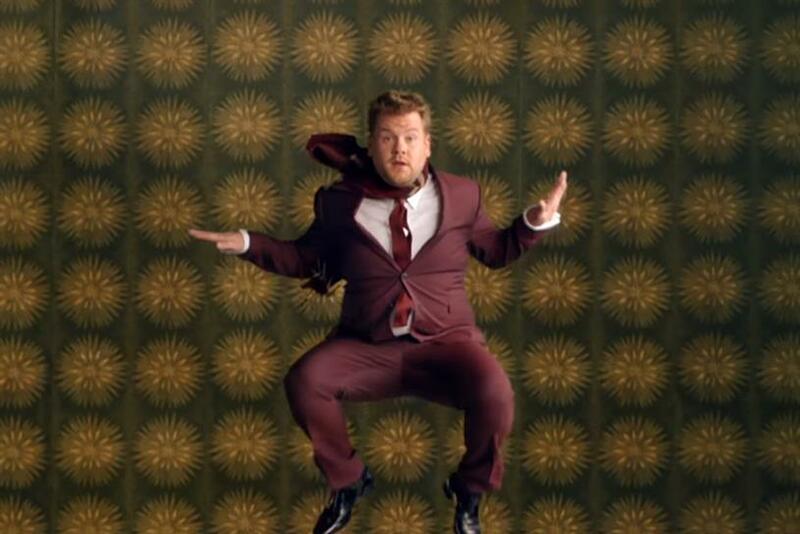 Burberry: ‘Festive Film’, celebrating 15 years of Billy Elliot, features stars including James Corden. Burberry, John Lewis, Sainsbury’s and Harvey Nichols are widely judged to have scored Christmas hits with their festive ads this year. Neuro-Insight chief executive Heather Andrew takes a look at how our brains have responded to them. While all the Christmas ads are communicating positive brand messages at a rational level, not every piece of creative will be delivering the right messages to our subconscious. Whether it’s a tear-jerker, a party-starter or a cheeky how-to guide, all but the Scrooges among us have found a favourite from this year’s flurry of Christmas ads. Now, the race is on for brands to make the best of the peak shopping season, and marketers will be counting on the effectiveness of their creative to convert their biggest-ever Christmas adspend to a significant ROI throughout the high-value festive period. While all the Christmas ads out there are communicating positive brand messages at a rational level, not every piece of creative will be delivering the right messages to our subconscious. This part of the brain is particularly important for advertisers to understand, with research proving that measures such as emotional intensity and memory encoding are key ways of assessing the effectiveness of advertising. These measures show a better correlation with decision-making and purchasing intent than traditional measures such as recall, and are analysed using consumer neuroscience methods. More than 10 years of neuroscience research have given us a great understanding of how the brain responds to advertising, which we have used to give an insight into the many factors separating an entertaining piece of creative from an effective communication. Here’s a review of the biggest Christmas ads of 2015 from the perspective of the brain, including: John Lewis’ ‘Man on the Moon‘, Sainsbury’s ‘Mog’s Christmas Calamity‘, Harvey Nichols’ ‘Avoid #Giftface’ and Burberry’s ‘Festive Film‘. All four of these ads are longform, which provides room for their narratives to develop. From the brain’s perspective this is very positive, as stories provide something for our brains to latch on to and engage with. However, the big question is whether, in telling their stories, the advertisers succeed in developing positive brand associations that will be stored into memory to influence consumer decisions in future. Sainsbury’s ad is the most extreme example of the “big story.” There’s a strong narrative thread, set up at a conscious level at the start of the film by the opening screens with the title and author’s name. It’s a linear narrative, easy for the brain to follow and it’s likely to be effective in keeping people engaged in the story. But what about the all-important branding at the end? The “Christmas is for sharing” message that precedes Sainsbury’s end-branding acts, to some extent, as a resolution to the narrative. This means that it runs the risk of telling the brain that the story is over, prompting what we call “conceptual closure”, where the brain processes what it has just seen, rather than focusing on new information. If a moment of “conceptual closure” is followed by branding, the latter can be missed by the brain while it’s busy doing this processing. So, if indeed the sharing message in this ad does drive conceptual closure, and the branding is missed, what will have been created is a long and engaging ad for Mog, rather than an effective one for Sainsbury’s. In several respects, John Lewis’ ad works in a similar way to the Sainsbury’s spot. ‘The Man on the Moon’ focuses on a single storyline, creating a clear path for the brain to follow through the ad. The music, linked literally to the visuals, helps with this, and the ad is likely to trigger a strong emotional response as viewers focus on the developing relationship between the two central characters. As with Sainsbury’s, however, there is a danger that the branding could be missed, because the ad relies on just one branding moment at the end that isn’t strongly linked to the storyline. The difference for John Lewis is the fame of its Christmas campaigns in recent years, so even if the ad per se doesn’t strongly deliver the brand, the interest and media coverage surrounding it is likely to help complete the job. Harvey Nichols’ execution has some features in common with the first two. Like them, it has a developing narrative that doesn’t overtly involve the brand, and brand recognition will depend on people picking up the name from the ad’s final frames. But there are some differences, both positive and negative. The ad doesn’t have such a strongly developing narrative as Sainsbury’s and John Lewis’ spots – instead, it comprises three vignettes, all showing the main character putting on a brave face in response to receiving a disappointing selection of presents. The similar outcomes of these scenes may mean that the brain will ‘get’ the joke quickly, and therefore brain response may decline as the ad progresses. This is especially true if you consider that PC World and Lidl also feature “brave face” ads, arguably diluting the originality of this theme. On a more positive note, the “Avoid giftface” line that precedes the final branding is likely to have the effect of intriguing the brain, setting up a puzzle (“What does that mean?”). The Harvey Nichols brand that follows acts as an answer to the implied question, and a resolution to the previous awkward scenes, increasing the likelihood of the brand being driven strongly into memory. From the brain’s perspective, the winner from this selection is the Burberry ad, celebrating 15 years of Billy Elliot. This spot is a departure from the narrative style of the other ads, but it employs a series of devices that are likely to engage the brain and ensure that the branding comes through. The cumulative effect is an ad that has the strongest likelihood of engaging the brain in a way likely to drive real-world effectiveness. From the start, Burberry builds a strong sense of anticipation and intrigue as we see the vinyl record being put on the record player – the sequence is drawn out in a way that heightens suspense and tells the brain that something important is coming up, ensuring it is more likely to process what follows. The strong music soundtrack throughout the ad is likely to heighten emotional response, which also primes the brain to take in the ensuing scenes. The way these scenes are put together is also highly effective – there is an element of repetition in the celebrities’ actions, which tells the brain there is a pattern of events to follow. However, unlike the repetition in the Harvey Nichols ad, here there is a twist, as we wait with each “jump” to see who will appear next – this is the kind of pattern that keeps the brain engaged. Including celebrities in ads can be a double-edged sword; brands can benefit from their fame and glamour, but can also be damaged by an association with those who are disliked, or a poor brand fit. In the case of this ad, the association is likely to be positive – the celebrities are A-listers, their Burberry clothes are plausible, and the overall look seems genuinely fun and relaxed.